Hippo CMMS is a cloud-based computerized maintenance management system (CMMS) that enables users to monitor work orders, conduct preventive maintenance, and track inventory and assets. It can be used by a wide range of industries such as healthcare, education, manufacturing, and more. We compiled Hippo CMMS user reviews from around the web and determined that it has generally positive ratings. We also shared its available pricing options. Users who recommended Hippo CMMS said that it is easy to use and that it effectively streamlines maintenance requests and work orders. Some of them also commended its excellent technical support. Users who gave Hippo CMMS negative reviews said that the software experiences occasional system glitches. According to some, there are times when the servers go down, which prevents them from creating new work requests. Some of them also complained that the mobile app is not that user friendly. A user who left a positive review on GetApp said that Hippo CMMS helps him keep track of equipment, services, and inventory. He also likes how the software sends reminders whenever there is a need to replenish their stocks. A user who left a negative review on GetApp said that there is a need for Hippo CMMS to expand its functionalities like a purchase order feature. He also said that the onboarding process takes some time. Hippo CMMS has three subscription plans: Hippo Lite ($45/month), Hip Pro ($165/month), and Hip Pro Plus ($195/month). The main differences between the plans include the number of users and access to premium features such as maintenance request portal, mobile app, multiple locations, interactive site and floor plans, custom-designed user interface, fleet maintenance, and more. Check out the list below of some of Hippo CMMS’ features. Best CMMS Software 2017: What’s the Best Computerized Maintenance Management System? – CMMS software is a centralized repository containing all of the available information of a business’ physical assets. Read on for our comparison and review of the best CMMS software for small businesses. Best Document Management Software 2018: Google Drive vs. Dropbox vs. Zoho – Document management software helps your business centralize and manage its documents and files. We looked at the most popular options and rising stars and chose to review Google Drive for Work, Dropbox Business, and Zoho Docs. Small Business Inventory Management – The Ultimate Guide – Small business inventory management provides up-to-the-minute data on current stock levels, inbound stock, and connects your key financials like sales and cost of goods sold. In this article, we’ll show you how to get your inventory organized and on track in 8 easy steps. Free Small Business Software: 35 Tools For Simplifying Your Business – In this article, we will share with you some ideas from small business owners who use free tools to make their business processes easier. Yes. Interested users may avail of a 14-day free trial or book a live software demo. How does Hippo CMMS help business owners manage their equipment and assets? Hippo CMMS stores assets and equipment along with corresponding information including ID tags (i.e., make, model, and serial numbers), documents, and photos. The Hippo Advanced Dashboard lets users view assets and locate maintenance issues by section. The reporting tool displays repair history, equipment downtime, and tracks all associated costs. How do Hippo CMMS’ preventive maintenance feature works? Hippo CMMS sets preventive maintenance tasks by calendar or meter reading along with email alerts for notifications. This will help extend the life of company assets, reduce expensive downtime, and repairs. This video provides a tutorial on how to use Hippo CMMS’ key features. 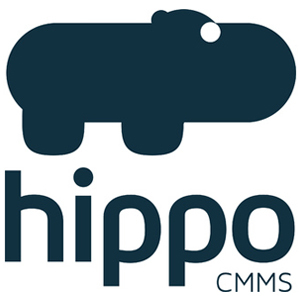 Not sure if Hippo CMMS is the right fit for you? Read our reviews of all top CMMS software or check out one of these three Hippo CMMS alternatives.